To be held accountable for something one knowingly does wrong may be difficult for many, but to bear the blame for loss of life and property in the just, correct and blameless performance of ones sworn duty would be a burden beyond many. It is arguably one of the greatest tragedies of the wreck of the trans-Tasman steamer Elingamite that her master, Captain Ernest Bacot Atwood, was found guilty of "grossly negligent navigation"
and had his masters certificate suspended. Eight years later he was fully exonerated but one cannot help feel a sense of sorrow for those years of suffering and humiliation. This is the story surrounding those circumstances and the sinking of the passenger ship SS Elingamite. The 2,500 ton screw steamer Elingamite had left Sydney for Auckland on Wednesday November 5th 1902. A smooth and uneventful Tasman crossing brought her towards the northern tip of the North Island and on an oft-sailed course that was calculated to take her well clear of the island on which she was to meet her end. On board were 136 passengers and 58 crew along with a mixed cargo including gold, silver and copper coinage. This was listed in the Evening Post of November 12th 1902 as "...fifty-two boxes of gold and silver, valued at �,320, shipped by the Bank of New South Wales, apportioned as follows:- �00 in silver for Lyttelton; �00 in gold, �,300 in silver, and � in copper for Dunedin." At 9:00am on November 9th, Elingamite sailed into a dense fog which led the Captain to take the appropriate precautionary measures. Engines were slowed to a speed of four and a half knots, the foghorn was regularly sounded and look-out precautions were strictly adhered to. Whilst it was not known to the Captain at the time, there was nothing he could do, short of stopping where he was, that would avert the disaster that was about to happen. The chart that he was confidently and faithfully using placed the Three Kings land-mass approximately one and a quarter miles further north and approximately a third of a mile further west than its true position. No matter what actions Captain Atwood was to undertake in the one and a half hours since entering the fog, he could not avoid the fate which awaited him, his ship, his crew and his passengers. At 10:30am on Sunday November 9th, the towering cliffs of West King Island loomed out of the dense fog directly in front of the steamer. Instructions to stop the ship were issued to the engine room but were not enough to prevent Elingamite from ploughing headlong into the cliffs. Her initial touch seems to have been gentle, but was soon followed by the grinding crash that took the bottom out of her. The Chief Officers report from the Evening Post of November 15th gives a first-hand account of the last moments of this grand lady of the seas: "Good sights," he said, "were got the day before the wreck. Sunday morning broke with a thick fog, and the steamers speed was reduced to dead slow." "Thick as a ditch" was the Chief Officers description of the morning. They couldn't see more than a few yards in front of them. When the crash came he could see a great cliff sheer up in front of the ship, which had run onto a sort of ledge, with the rocks clean through her bottom. Almost immediately, the six boats and two rafts carried by Elingamite, were launched into the surrounding waters. In launching the boats it was claimed that one had been rushed by a party of Austrians on board...a claim hotly and justifiably challenged at the inquest...and that another boat had had her falls cut in the haste to launch her. This last event, whilst dangerous with a ship that remained up-right was a blessing and resulted in the preservation of further lives. This incident was explained in the stories of the Chief Officer: Boat after boat got away somehow, but when the boat into which he afterwards got came to be launched, it was found that the falls had been cut by some excited man in his unthinking hurry. The consequence was that the boat could not be lowered...this was to be the best thing that could have happened, for the steamer took such a list that the boat floated out...and also that of Dr Beattie, a Saloon passenger: By this time the last lifeboat had been launched, which could not be done previously. All the ropes were already cut. As the boat floated gently off , five or six passengers who were on the upper deck stepped into her. Captain Atwood remained with his ship until the end when he was washed overboard as she plunged into the deep water surrounding the island. 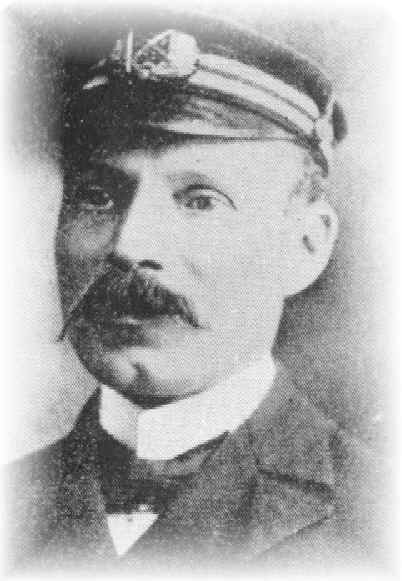 Once in the water he immediately took command of one of the lifeboats, thus ensuring that many more lives were saved. A word of praise for the bravery of this man from one of the passengers seems to have fallen on deaf ears at the subsequent enquiry. In the words of Mr Stephen Rabone Neill, a motor-man brought to Auckland by the new Electric Tramway Company: I could not say enough of Captain Atwood's pluck. No words could describe his bravery. He was the last to leave the wreck, being washed overboard shortly after I dived off the after-part of the ship. I certainly never witnessed anything like his pluck. After being washed overboard he stood on a couple of pieces of wreckage, one foot on each and as he rocked about in the open sea he blew his whistle, the sound of which brought up a boat. In this he must have saved forty or fifty lives. I am prepared to swear that the casualty could not have been prevented. I was close to the Captain when the rocks were sighted not more than thirty yards away, or forty at the outside. All that any man could do he did. Of the conduct of some of the others I have something to say, but will not speak until the enquiry. Following the launching of one of the lifeboats carrying 45 survivors, it smashed up against a part of the wreck and a plank was stove in leaving a large hole through which water freely entered the boat. In the inventive frame of mind that rises from a desperate situation, several of the men on board stuffed their shirts into the gap and succeeded in stemming the flow of water sufficiently to allow the boat to remain afloat with constant bailing. This boat, along with two others and one of the rafts, succeeded in reaching the safety of dry land on the Three Kings Islands. 89 survivors, all lacking sufficient food and shelter, huddled together for warmth on various parts of the Three Kings group, many under shelters of Manuka and brush. Some were lucky enough to find a good supply of water and those with the facility and strength to do so lit a signal beacon on the highest promontory they could reach. In the meantime, Lifeboat No 2, with the passengers of Lifeboat No 6 which had been swamped soon after launching (in total 52 souls) succeeded in reaching Hohoura on the East Coast of the upper North Island, alerting officials to the disaster. On receipt of information concerning the wreck, vessels close to the area were immediately diverted to look for survivors. 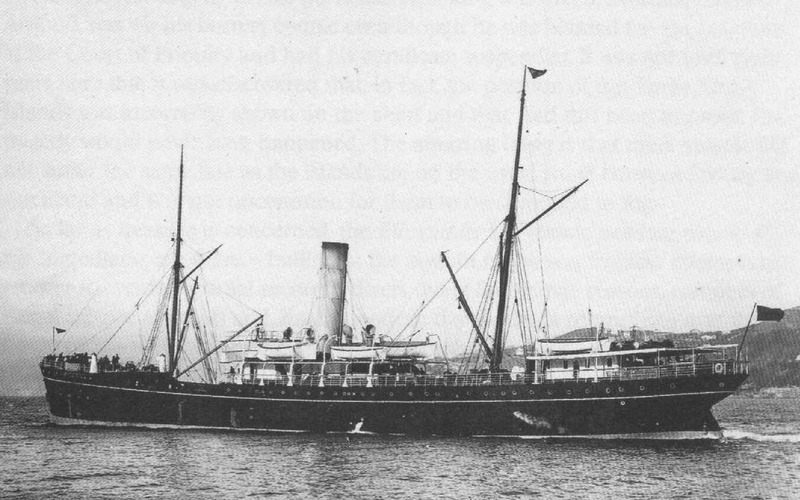 Clansman, owned by the Northern Steamship Company, Omapere, owned by the Union Steam Ship Company and the auxiliary schooner Greyhound were all sent north. The Zealandia, sister ship to Elingamite, had commenced the return passage to Sydney at 7:15 on the evening of November 10th, the day following the wreck, and was expected to pass Cape Maria van Diemen on the following morning. In order that she could be utilised in searching for survivors, contact needed to be made with her before she headed out into the Tasman Sea as this was before the days of ship-to-shore radio communication. Instructions were sent north to the Cape that she be signalled on passing and some whaleboats made a mad and heroic dash eastwards from Hohoura in an attempt to cross her northward course. After what must have been a frustrating night of firing distress flares, they succeeded in advising the Zealandia of the catastrophe at 6am on the morning of Tuesday November 11th. Zealandia at once steered a course for the Three Kings. Had the whaleboats not been successful in their efforts to locate her, she would have steered her charted course sufficiently far away from the island group to prevent her seeing the distress signals of the survivors. By 3:30 on the afternoon of Tuesday November 11th, Zealandia was off the Three Kings group and within site of the survivors who immediately threw as much "smoke-making" brush on the signal fire as was feasibly possible. For a brief, agonising time Zealandia drifted out of visual range of those on land but soon returned and it was then that the survivors knew they had been seen and that they would soon be rescued. Zealandia stood off the Three Kings and lowered a boat, under the command of the Chief Officer, which took a good hour to row the distance to shore. On arriving, and once he realised how many were on the island, the Chief Officer signalled for another boat to be sent and this was promptly despatched. Mr C W MacMurran, a journalist from New York who was a passenger on the Zealandia can best describe for us the final scenes in this chapter of the story: After an anxious wait on the part of those on board the Zealandia, the boats came back from the island with the survivors of the Elingamite's passengers and crew in a most pitiable condition, many being badly clad and without shoes. The passengers on the Zealandia at once put everything they had at the disposal of the shipwrecked people, and made them as comfortable as possible. The closing statement, however, must fittingly fall to one of the survivors from the island. Miss Greenwood of Wellington tells us that she is ...sure that some of the party would have been unable to survive another night. It was cold, they had no food, and rain water was beginning to give out. Four boats and one raft had been accounted for. Six boats had been launched from the stricken ship and one was swamped. One had arrived at Hohoura to raise the alarm and three had landed on the rocky shores of the Three Kings. In addition, two rafts had floated into the dense fog that covered everything during those few fateful days. One of these rafts was accounted for amongst those rescued by Zealandia. This left one raft containing, at best guess, 16 passengers and crew and one boat containing an unknown number of survivors. This boat and its occupants were never found but the raft and those on board were to spend 5� days at sea before being found by the warship HMS Penguin. The story of those who survived this ordeal and those who perished deserves a special mention on these pages. The newspapers of the day, in relating the stories of the survivors from the raft, give some indication as to what these 16 survivors from the Elingamite went through and the conditions that drive half of them to their deaths. The raft, the smaller of two on Elingamite, carried originally 19 survivors. Shortly after the ship sank the two rafts bumped together and 3 of the 19 on board the smaller raft were transferred to the larger one. Before more survivors - perhaps the whole number as there were initially only two on the large raft - could do the same, the rafts parted under the fog blanket and the smaller one floated off with one keg of water, two apples, an oar and one rowlock, a broken paddle and 16 survivors. It was finally located 66 miles to the north east of the wreck scene at 4:00pm on Thursday November 13th. On board there were only 8 of the original 16 who had drifted off, half submerged and unable to compete with the strong tide and current. Terribly overloaded the small raft drifted clear of the wreck and the Three Kings Islands on the evening of Sunday, November 11th. They rode very low in the water and sometimes it was not obvious that there was a raft beneath them. Although they had an oar and a paddle, the raft was quite unwieldy and they were unable to steer towards land which they saw several tantalising times. Indeed they were unable to do anything to control the raft and even making another rowlock out of rope did not have any effect. Throughout the night they vainly tried to make contact with land or other boats but were frustrated in every attempt. On one occasion they sighted the lighthouse on Cape Maria van Diemen "away to the southward" and tried to reach it but were turned back by a change in the tide which swept them in the opposite direction. Northwards into the open sea. An attempt to slow the progress of the raft was made by dropping a sea anchor made of a bag attached to a rope but it is not known how effective this was, if at all. On the night of Monday 12th, a steamer was seen and many on board the raft thought that they had been seen as the steamer stopped and, some say, lowered a boat. It must have been heart-wrenching when the steamer proceeded on her way and was soon out of sight. Remaining wet the whole time and unable to lie down, the exposure and lack of sustenance soon took its toll and those clinging to life and safety became weaker and more disheartened. The following morning they made a further attempt to row towards North Cape but, because of rough seas and the unwieldy nature of the raft, they were not able to make much headway and as soon as the tide changed they were propelled in the opposite direction. On Tuesday the skies cleared and the hot sun beat down remorselessly on this little speck in the vast ocean. Having no shelter, the survivors were beginning to feel the lack of water and all became terribly thirsty. In the evening Dickson, a passenger, was the first of this little band to die as he was completely overcome by exhaustion. Shortly after this another of the survivors leapt into the sea refusing any attempt they could make to rescue him and a few minutes later he sank out of sight. At dawn the following day, two more survivors lay dead beside Dickson whose body had been retained in the hope that they would soon be rescued. As this was no longer something they expected to happen all three bodies, with all the dignity and respect that could be mustered, were gently rolled into the sea. With this added weight gone the raft rode a little higher than it had and with the sea calming a little those left on board were able to dry out and make themselves a little more comfortable. On Wednesday the last apple was divided and although the amount each received was of no use in terms of sustenance, each on board was thankful to God for what they received and for the fact that their lives had, so far, been spared. During this afternoon another man on board lost his composure and leapt into the sea and that night another slipped over the side and was lost to sight. Before the sun rose the next morning, Ellis the second saloon steward, succumbed to exhaustion and in the morning Miss McGuirk, the fore-cabin stewardess and only female on board passed away quietly. Thin and emaciated, she had succumbed to exhaustion, depression and despondency. Then the miracle happened. At approximately three o'clock on the afternoon of Thursday, November 13th a steamer was sighted in the distance. All on board, eight exhausted and very emaciated men out of the 16 survivors who had first clung to safety on board the raft, had all but given up hope of being found. The sight of the steamer gave them renewed hope and, with the energy generated by a rush of adrenalin, Theodore Danielson, one of two crew members amongst the survivors, improvised a flag from his shirt and an oar which he held upright above his head. A lookout on the masthead of the steamer spotted the flag and HMS Penguin turned towards them. It was at this time that they knew their ordeal was over. By 4:07pm HMS Penguin was alongside and a boat with the ships Doctor on board rowed the short distance to the raft. With him he brought water, hot Bovril (beef tea) and brandy to provide immediate sustenance. The men were taken on board the warship and made comfortable and warm by the crew who treated them all with great compassion. Being sailors they knew that this fate, or worse, may some day befall them. The survivors of that terrible ordeal on the raft were passengers Andrew Rossie, Stephen Rabone Neill, Frank Jobson, Arthur Robinson, William Jordan and Henry Wetherilt, fireman Thomas Malin and AB Theodore Danielson. As has been mentioned, the final lifeboat was never found. Sightings were made of objects in the distance thought to be the lifeboat, some as far afield as the Bay of Plenty and the Hokianga. The intense sea search continued. Reports from the newspaper of November 15th report from Auckland - "It is possible that the missing boat went east in the fog, and then stood south. The lighthouse- keeper at Cape Maria reports that passing vessels keep a good look-out. The Stirling returned to Russell. She reports that she saw nothing of the missing boat" - and from Gisborne - "Captain Smith, of the Mararoa, is of the opinion that the Elingamite's missing boat may have drifted into the bay of Plenty, and on the voyage north will keep a sharp look-out. "Also from the paper of November 17th - "The tug Stirling went from Russell on Saturday to search for the missing boat eastward. She might visit the Little and Great Barrier and Mokohinau. Nineteen days after Elingamite went down and fifteen days after the last of the survivors (those on the small raft) were found, a Nautical Court of Enquiry was held at Auckland starting on November 28th. It was to last almost two months and many witnesses were called. Officers, seamen and passengers spoke for, and no doubt against, the actions of Captain Atwood and his crew on board. Three different lawyers, Mr Campbell, Mr Martin and Mr Cotter, acted for the ships master, the officers and the engineers respectively. The evidence was to stack up against Captain Atwood and Mr Burkitt, the Chief Officer, with regard to the details of navigation, lifeboat drill and the procedures for abandoning ship, but one issue remained unanswered. In fact it was not even investigated fully during the inquest. The order to reverse engines, on the evidence of Captain Atwood, was given while Elingamite was at least 200 meters from the island and had the action been successful would have allowed plenty of time for Elingamite to back off and be saved. The engineers had claimed that the propeller had been jammed when they tried to reverse the engines. In their evidence they asserted that "when the order (to reverse engines) was given the ship was actually on the land and they suggest that the cause of the engines not working was either that the propeller was held externally or the bottom of the vessel was so injured by contact of the land that the tunnel shafting was thrown out of alignment and jammed." This claim was hotly argued and refuted without any supporting evidence to the contrary. Indeed, there was not even a diving survey of the wreck to seek any first hand evidence. 1) In driving full speed in fog until 10 a.m. on Sunday when he must have known he was near land. 2) In neglecting to take soundings before and after 10 a.m.
4) In proceeding at four and a half knots, possibly faster, without sounding. 5) In not carefully ascertaining his speed, yet relying on dead reckoning. 6) In guessing his speed since noon Saturday at twelve knots when everything pointed to a higher speed. The Court ordered his masters certificate to be suspended for one year and required that he pay costs of �.00. After the trial, Captain Atwood was a broken man. Unable to resume the occupation that he loved, he was forced to take up employment as a tally clerk for a coal company. However, although Captain Ernest Bacot Atwood was to suffer the ignominy of blame for a tragedy that was not his fault, he would in eight years be absolved of all blame. As early as the 1890's it had been noted by Thomas K Thompson, a Surveyor with the Survey Department that the Three Kings Island group were not correctly charted in relation to Cape Reinga meaning that the nautical maps of the day were incorrect. This serious error had been reported to the Survey Department who, for whatever reason, were not to take any action until well after the Elingamite tragedy. In 1910, communication was received from the Vice-Admiral of the Australian Naval Station that the position of the Three Kings was wrongly charted. Sightings, taken by the Australian ship HMS Cambrian and confirmed by its men from the shore, showed the true position of the island group to be further south and a little west of their charted position. A small distance perhaps, but enough to place them as an immovable object directly in the course of the Elingamite. The following year, the Antarctic ship Terra Nova undertook a survey of the area placing their actual position, as we have mentioned, one and a quarter miles further south and a third of a mile further east than they would have appeared on Captain Atwood's chart. As a consequence the "Elingamite Re-hearing Act" was passed in October 1911 and the events of Sunday November 9th 1902 were re-heard in light of this new information. As a result the Court found that: "Had the West King been correctly charted Captain Atwood would have escaped altogether." Captain Atwood told the Court that ".....my calculations were made on the only charts available. I now know that they carried me to a position of danger." He was therefore acquitted of all charges and "...that next Sunday in church Ernest Atwood had his head held high." He established a business as a ship surveyor in Wellington and died there in the 1930's. In order to further support the claim of the Engineers as to the jamming of the propeller, New Zealand divers Kelly Tarlton and Wade Doak in the 1960's were to find strong evidence in favour of this. They located the propeller of the Elingamite on which each blade was been over about a foot from the tip. Evidence that it had struck an underwater reef or an object external to the ship. The hull of the Elingamite remains where she sank, the playground of divers, treasure seekers and giant groper. She is relatively undisturbed apart from the occasional detonation of explosive by divers seeking to wrest the treasure which still remains inside her belly...........a treasure which she and the conditions of sea and tide jealously guard even now, almost 100 years after she went down.